1. From the Windows 8 Start Menu, go to Desktop. Click or tap the Desktop tile. 2. 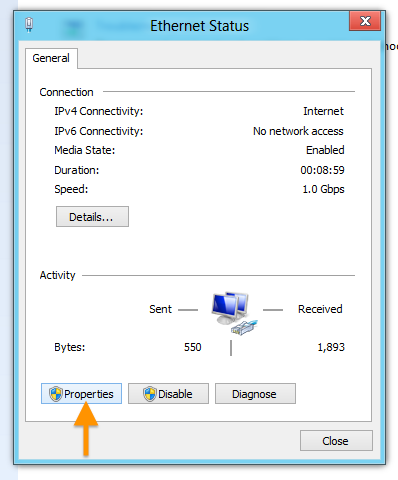 From the Desktop, right click the Networks icon and select Open Network and Sharing Center. While in the Open Network and Sharing Center, click the current active connection or the connection that you want to configure OpenDNS on. In our example, the Ethernet adapter is the active connection. 4. When the adapter status window pops up, click Properties. 5. 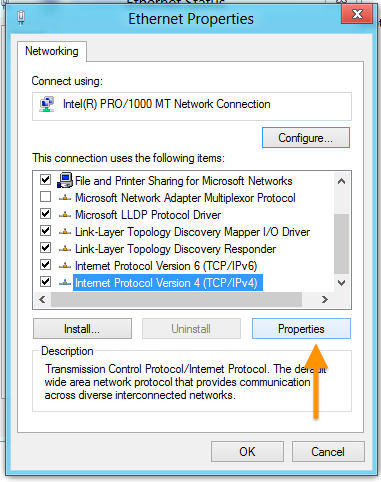 Highlight the Internet Protocol Version 4 (TCP/IPv4) option, then click Properties. 6. 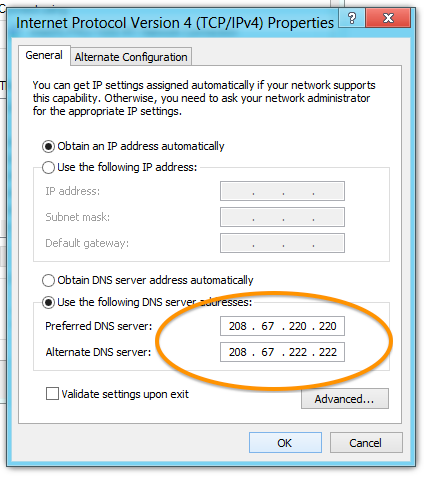 Select the 'Use the following DNS server addresses' option and fill out the Preferred DNS and Alternate DNS server fields with our DNS server IP addresses: 208.67.220.220, 208.67.222.222. Click OK afterward. 7. Clear your browser and DNS cache.